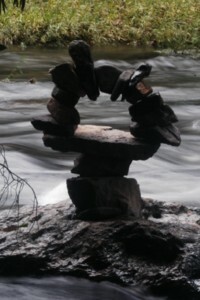 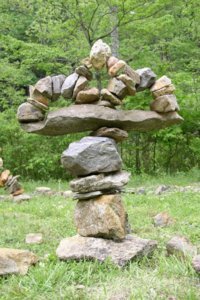 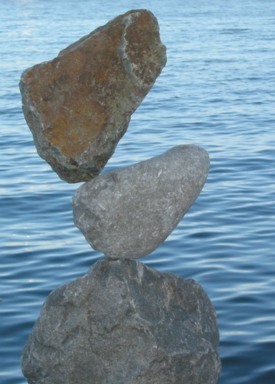 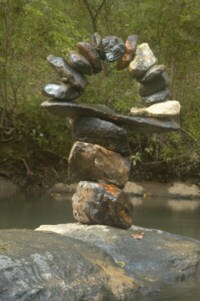 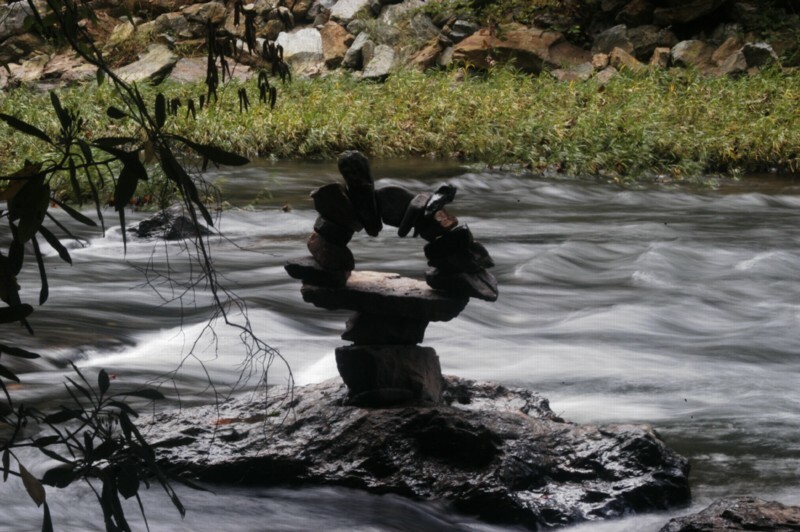 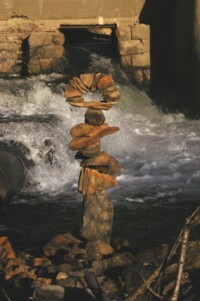 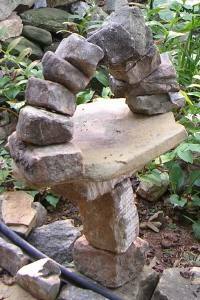 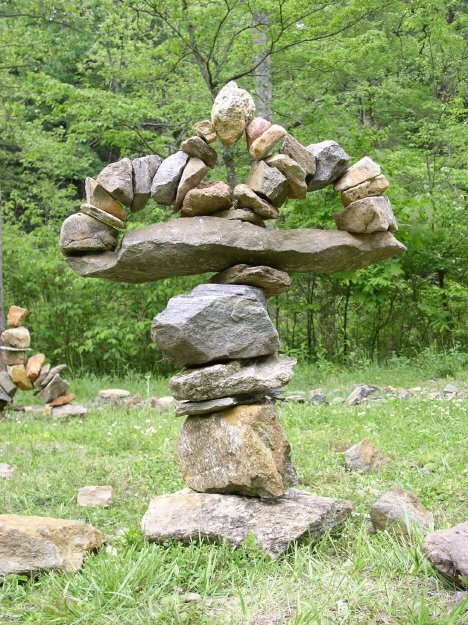 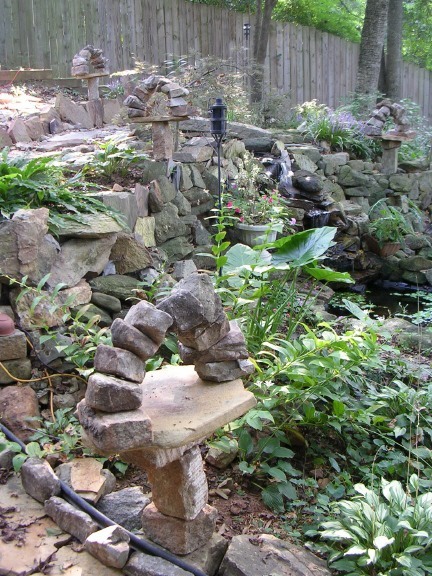 North Carolina stacker/balancer Dave Russell has evolved a unique, signature style of combining stacked and balanced rocks with the challenging formation of free-standing arches. 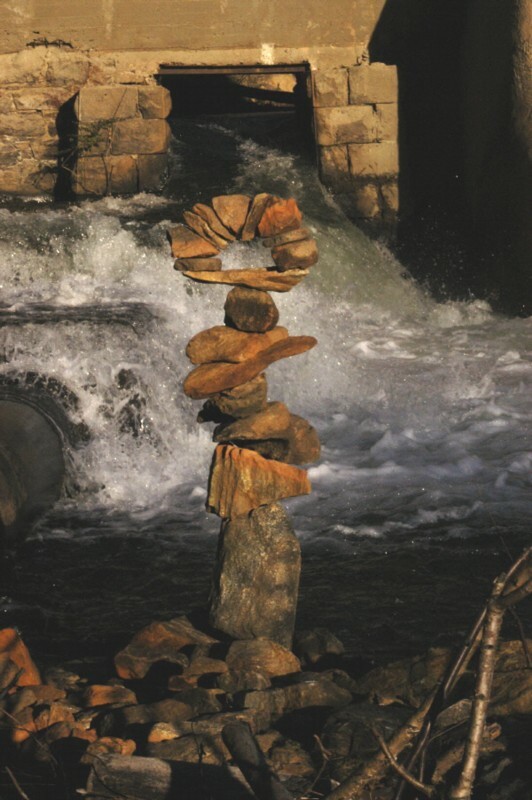 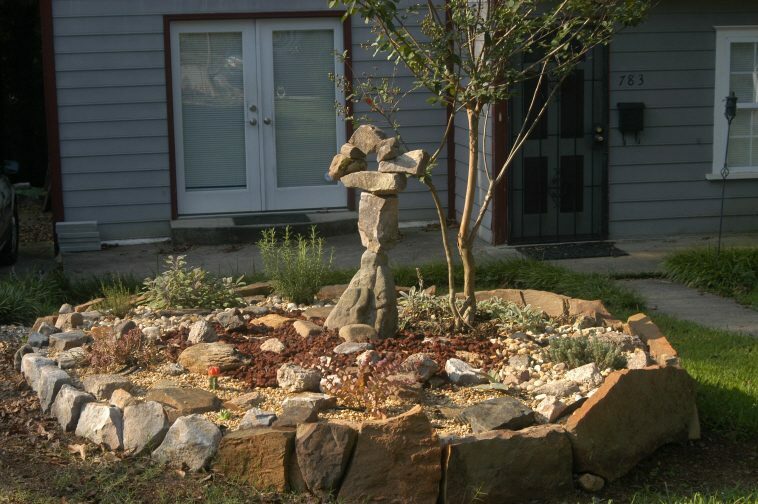 Whether placed near (sometimes even in) one of the many creeks near his home or installed in the yards of his friends, his work is instantly recognizable. 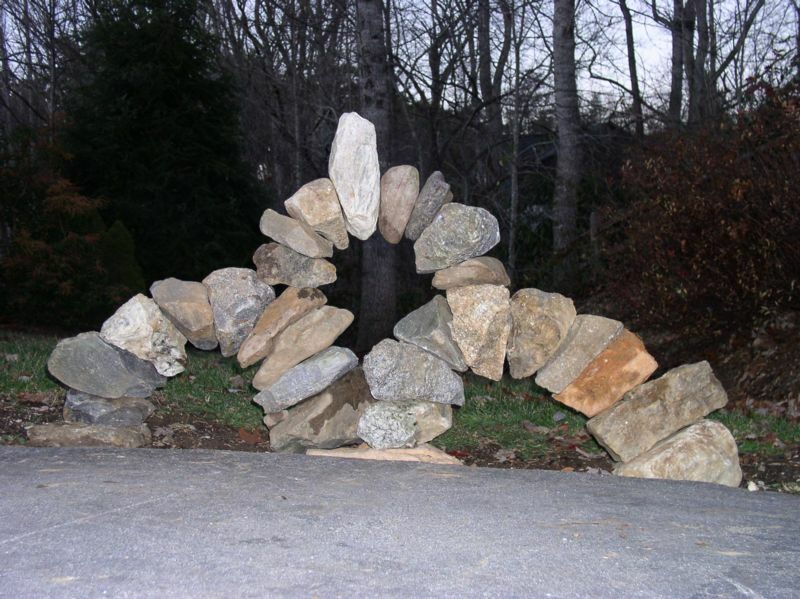 And always impressive, even when most whimsical. 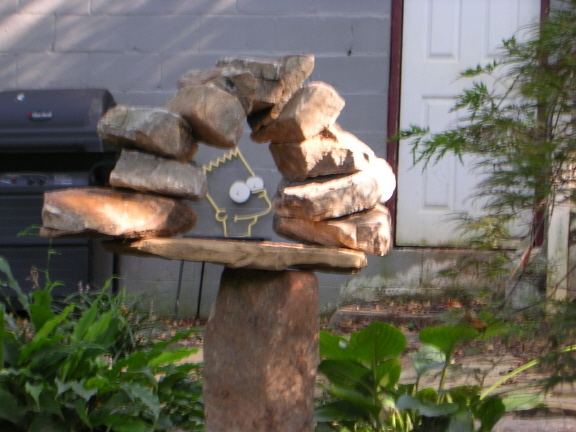 His investigations into these elemental, archtypal forms have led him to discover "Where Rocks Come From".